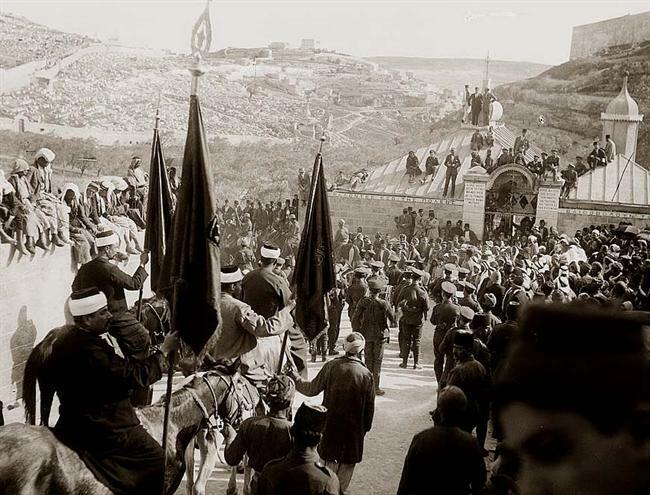 When the blood-curdling battle cry exhorting the masses to slaughter the Jews, “Itbach al-Yahud,” was first shouted on April 4, 1920, by Arab marauders rampaging through the Jewish Quarter of Jerusalem’s Old City, it was accompanied by another mantra: “A-Dawla ma’ana” – the government is with us. That was the first brazen reverberation of the trust that Jews can be attacked with impunity, that no deterrence exists. It was since oft-chanted during the perpetration of other atrocities during the British Mandate era masterminded by infamous Jerusalem mufti Haj Amin el-Husseini, most notably the hideous Hebron massacre of 1929. In a broad sense, that same premise endures and it has spurred Hamas and its assorted Gazan cohorts – all Husseini’s avid torchbearers – to escalate their rocket fire, ambushes and other assorted provocations. Their confidence was buoyed by a confluence of conditions. Foremost was the seeming Israeli toleration for the random rocketing of an ever-expanding sphere of population centers. Our prolonged inaction had lent the impression of powerlessness and, in our region apparent weakness only invites intensifying aggression. But there was much more than the Arab misinterpretation of our Western-minded moderation and inclination to delude ourselves that if we overlook sporadic barrages from Gaza, its homicidal ardor will somehow dissipate. Added to the Gazan perception that Israel has lost its mojo, is the rise of Muslim Brotherhood hegemony in Egypt. For Hamas this means that the biggest Arab state has its back. Hamas is itself a Muslim Brotherhood offshoot, boasting the identical ideological DNA as the new Cairo regime. There is no underestimating the boost afforded Hamas by the conviction that it has whom to rely on, that it can always expect reinforcement via its border with Egypt and that Israel will fear upsetting its rickety peace with the transformed Egypt.That means a freer hand for Gaza to indulge in mischief. The upheaval in Cairo, moreover, didn’t spring spontaneously in a vacuum. Not only did US President Barack Obama not maintain so much as an aloof detachment, but he to a great measure enabled the overthrow of Hosni Mubarak, no bedfellow of Hamas. Obama’s reelection is grasped throughout the Arab world as Israel’s misfortune. Freed from the fear of the voter, last-term president Obama will be tougher on Israel, Hamas believes, and concurrently the softest-ever in his attitude to Islamist radicals. Such readings of the situation crucially raised Gaza’s chutzpah quotient. The upshot is a latter-day version of a-Dawla ma’ana. Gaza felt that no restrictive authority stood in its way. The proverbial Dawla – the powers which didn’t hamper Hamas – included the newly fraternal Egypt, the presumably pliant Washington and, up until recently, a hesitant Israel. Israeli timidity is the most vital element of the above three. Indeed it constituted the fundamental instigation to Hamas’s ascendancy and audacity. Hamas wouldn’t be where it is – in position to threaten central Israel, benefit from Egyptian patronage and expect American lenience – were it not for Israel’s seminal Oslo folly and its derivative disengagement dementia. Every single warning desperately voiced back in the day against naïve territorial surrenders has been far more than fully vindicated. Reality has mercilessly exceeded even the direst of predictions. As it turned out, our greatest pessimists failed to anticipate the full horror of the consequences of Israeli concessions. It all went far more dreadfully wrong than anyone could remotely envisage. “Where are those Katyushas?” Rabin sardonically teased. As more and more political fortunes were sunk into the Osloite pit and as more and more intoxicating fumes were inhaled by more and more gullible and/or opportunistic junkies, so it became harder to kick the addiction. How unremitting were their efforts to hook others. No ploy was too objectionable. For the sake of restraint, we won’t even dwell on the fact that forecasts that Ashkelon would come under fire were painted in 1993 as unbelievably insane and outrightly malicious scare-mongering. Yesteryear’s worst worrywarts didn’t dare conjure up scenarios of Tel Aviv, Rishon Lezion, Holon, Bat Yam and other Dan region safe-havens being in Gaza’s rocket range. We have already long accepted that Ashdod, Yavne and Beersheba are. It shouldn’t take an Einstein to work out that something in the grand Oslo design didn’t quite go to plan – not that this would be remotely admitted by Peres, his agenda-pushing sidekicks and the whole weird gamut of farsighted creative omniscients who gravitate to the left wing of our political arena. But it didn’t end there. The nature of downward slides is that things go from bad to worse and then to lots worse. As the shattered shards of these sham inducements tumbled menacingly all around us, not only wasn’t Olmert the least bit contrite, but he vigorously concocted a disengagement sequel for Judea and Samaria, which he dubbed “realignment.” It was to bring the dubious bounties of Gaza’s disengagement to the elongated eastern flank of our densest population concentrations. This is what we must be forever wary of. Flare-ups and ensuing military operations come and go but our collective memories soon fade away, overtaken by the inexorable march of fresh news superimposed on yesterday’s banner headlines. As the current fighting in Gaza recedes into the past, new schemes will be spawned for more giveaways of strategic holdings. To this day our political arena bristles with know-it-alls who adamantly refuse to connect cause and effect, who deny the direct link between the evacuation of Gush Katif, along with the north Gaza buffer settlements, and the emergence of Hamastan, armed to the teeth with all manner of flying projectiles, capable not only of harassing the Negev but of reaching Tel Aviv and Jerusalem. It wasn’t coincidence that propelled an emboldened Hamas to power hot on the heels of our withdrawal and that freed it to fire at will on us from the very Jewish settlements we razed. It was Israel that gave Hamas the capacity of deciding how and when it might arbitrarily disrupt the lives of Israeli civilians. Gaza’s monstrous gunrunning was likewise plainly facilitated by the IDF’s absence. There’s no getting away from one underlying and incontrovertible fact – any territory Israel relinquishes is soon converted into a full-blown threat. We had to reenter Lebanon in 2006 subsequent to Ehud Barak’s brilliant unilateral disengagement of 2000. Because we returned so clumsily and because of Tzipi Livni’s diplomatic fiasco, Hezbollah’s menace has magnified threefold. We had to regain control of the PA’s Samarian cities in 2002 to halt the slaughter on the streets of central Israel. It’s a surefire bet that things will get horribly bloodier if we stupidly surrender more control in Judea and Samaria again. Four years ago we were forced back into the very Gaza from which we disengaged. We patently reengaged during Operation Cast Lead four years ago. We are now reengaged yet again in Operation Pillar of Defense, having had to reappear on Gaza’s scene, much as we sacrificed to disengage from it. Disengagement’s most elementary definition is to free or detach oneself from a given association. It’s a disconnection, a separation. Yet Gaza tenaciously dogs us and won’t let us disengage. Our successive confrontations with Gaza are as explicit an acknowledgement as can be that disengagement has failed, that we are not disengaged, that disengagement doesn’t hinge on our wishful thinking, that disengagement is as much a chimera as truce, peace and all gradations in between. Moreover, any future ill-conceived “disengagement” will necessitate further reengagement. Our recurrent reluctance to reengage will unquestionably awaken anew the Arab a-Dawla ma’ana arrogance. The only antidote is not to disengage. Rabin and Sharon are in their proper places in accordance with their sellout of the nation, but your article failed to mention the latest in a long line of suckers, Mr. Obama’s lapdog, and I hope I don’t have to draw pictures for you as to who I’m referring to. spread this short history of disengagement all over the country- print it out in leaflets and let it rain down all over Tel Aviv and wherever those blind fools congregate to blame the government for everything that has gone wrong. The Gaza mess MUST prevent any sick mind games about Judea and Samaria ! The de facto existence of a “Palestinian” state in Gaza and it’s dire consequences should make it clear to all wimpy leftists, that not one further square inch of Israeli soil is up for grabs for the mortal enemies of the Jewish people. Gaza is a CONSTANT reminder about the line in the sand: NOT ONE SQUARE INCH ! We indulge in fantasies then deludes ourselves into believing they have come true. A little known fact is that the first direct murder of Jews in WW2 was done by the Romanian “Iron Guard”, their SS. It was done quite publicly. It was the absolute lack of any response by any world government, even a note of protest, that gave Hitler the correct impression he could murder the worlds Jews with impunity. No effort was ever made to stop the Shoah. It’s not a good sign that so many of Israeli politicians, media, academia and judiciary believe in the same kind of victory. Unlike the quoted character in Mary Chase’s play of 1950, people in Israel live under a mortal threat. How can anyone realistically entertain the idea of a Palestinian state, contiguous with Israel? Since Israel’s reality has been rockets from Gaza-a Palestinian state in all but world opinion; and sans the security fence between the West Bank and Israel proper, suicide bomber infiltration; it seems that even the most jaded, arrogant elitist would concede that a Palestinian state is unworkable. Yet if one reads the Washington Post or New York Times, it’s all Israel’s fault, and both sides need to give concessions to make peace work. …and by the way, wasn’t Chaim Weizmann’s brother-in-law commissioned by none other than Haj Amin Husseini to build the Palestine Hotel? The walls of this hotel still stand, on Agron street, in city center, Jerusalem. I heard this from a tour guide. Is it true?